Just got a chance to look over the schematics of the reel. 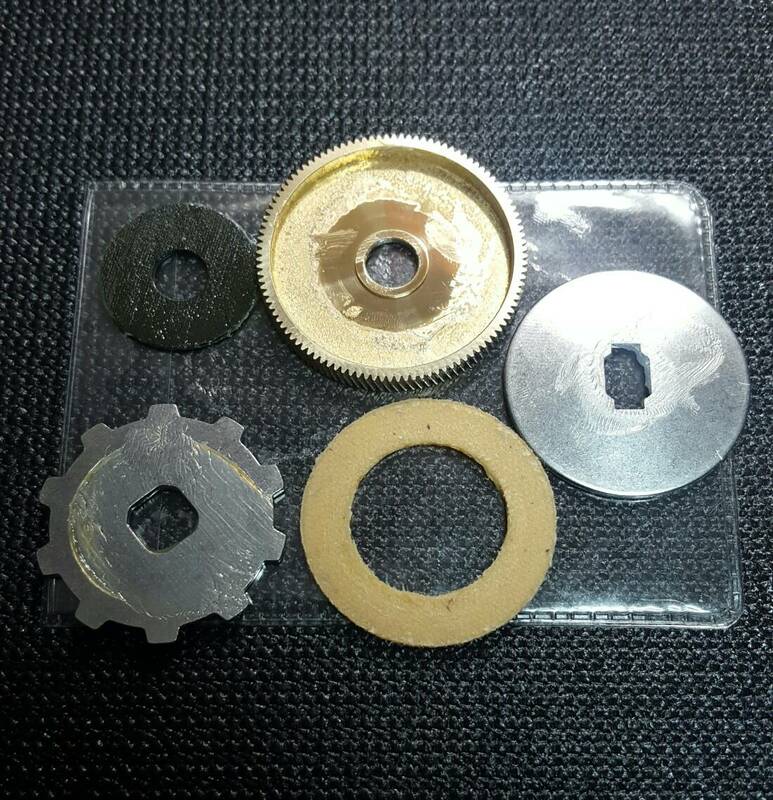 Each knob has 2 bushings, the crankshaft has a bushing, and the levelwind has a bushing. I am going to be able to add a total of 6 bearings to this reel, making it a total of 9 plus the roller clutch bearing. 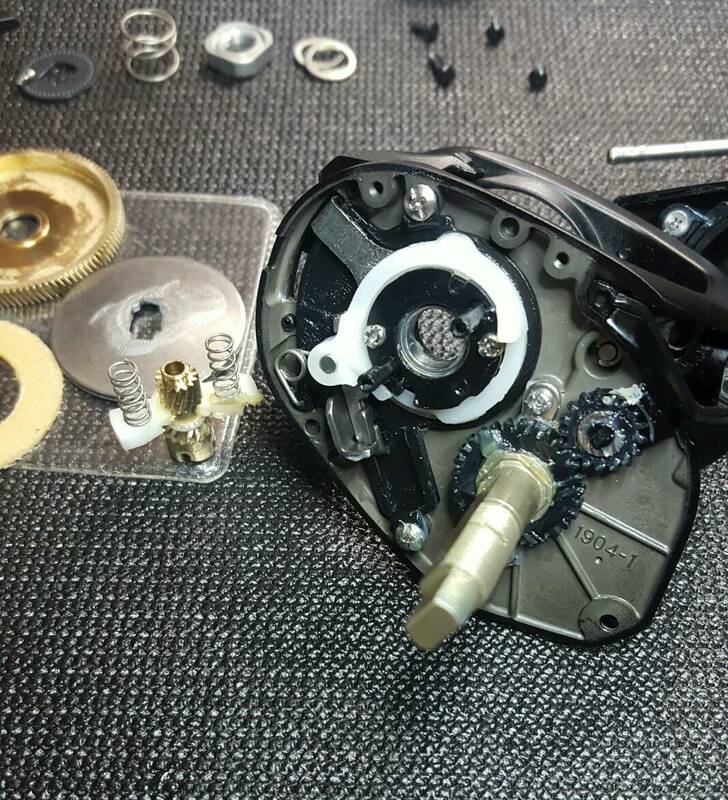 You can definitely tell that there arent many bearings in this reel, but it should turn it into a different animal once changed. So lets see how this goes...who knows, I could end up really liking this reel when its all said and done. Yeah, Im not crazy about the flat black either. Same goes with the Curado K, ugly looking. 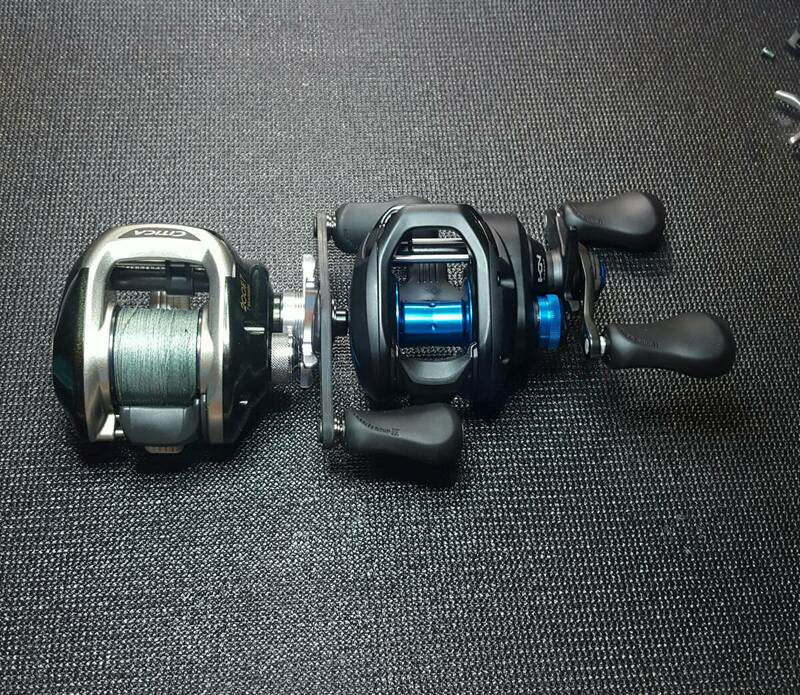 You got to look at it like this, you cant just have a reel that performs good, but looks hideous. Yes, there are people out there that dont care for the "looks". When you really think about it though, its kind of like food. Presentation is everything. 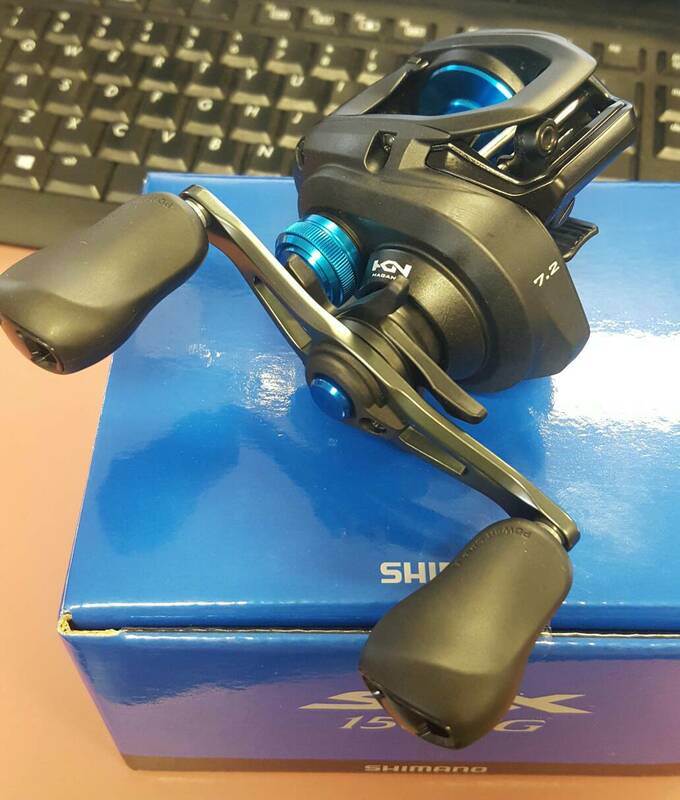 Shimano has really been lacking in the looks department on some of their stuff. 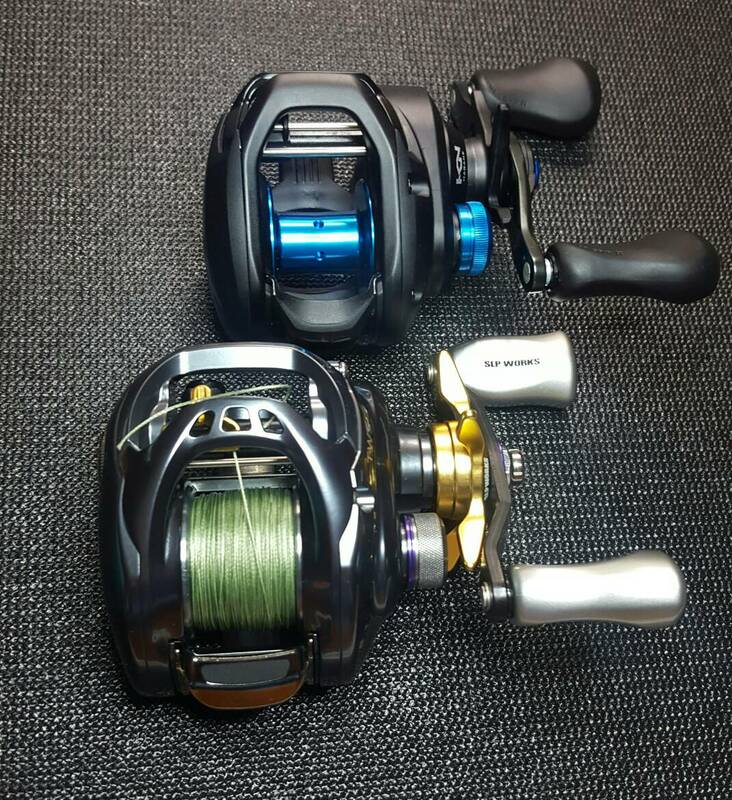 I know Bud went from mostly using Lews reels, to now the Daiwa Tatula SVs, which are really nice looking, as well as performing. You put that Tatula SV next to a Curado K, and the Curado looks cheap. 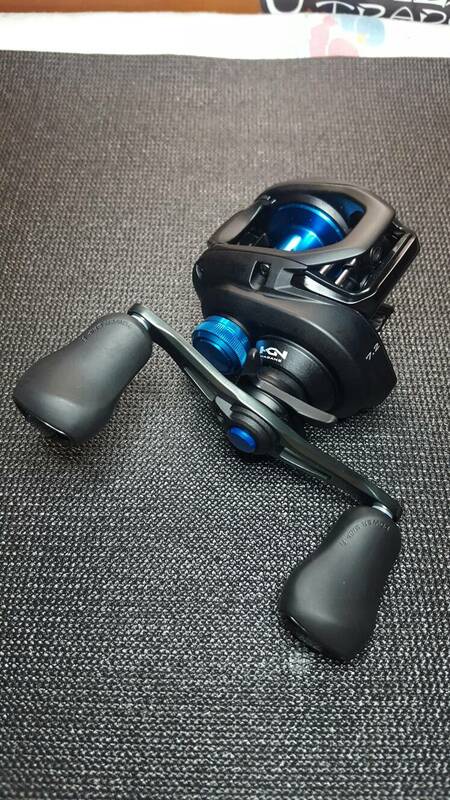 Sure, Daiwa had the flat black look on the Fuego CT, but its a $100 reel, not pushing $200. 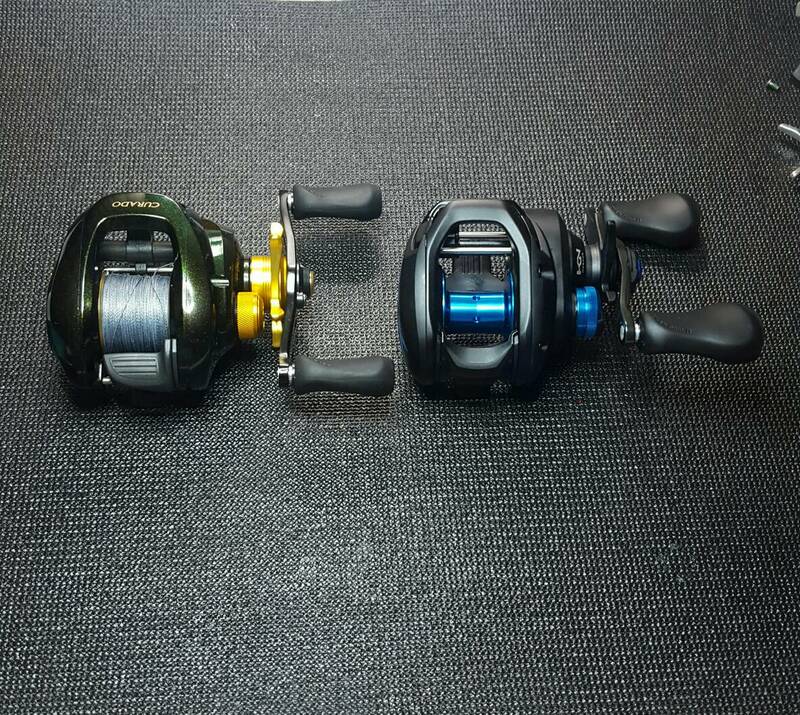 The SLX, well its $100 reel, so I really cant complain. Like the song says, the girls all get prettier at closing time. So...what you are saying is its drinking time? Finally Bud, Id thought youd never come around! Oh I have a nip from time to time. Kinda fond of Tequila these days. Too old to do anything else I may as well start drinking. So here we go, its time to get inside this thing and see what its got. 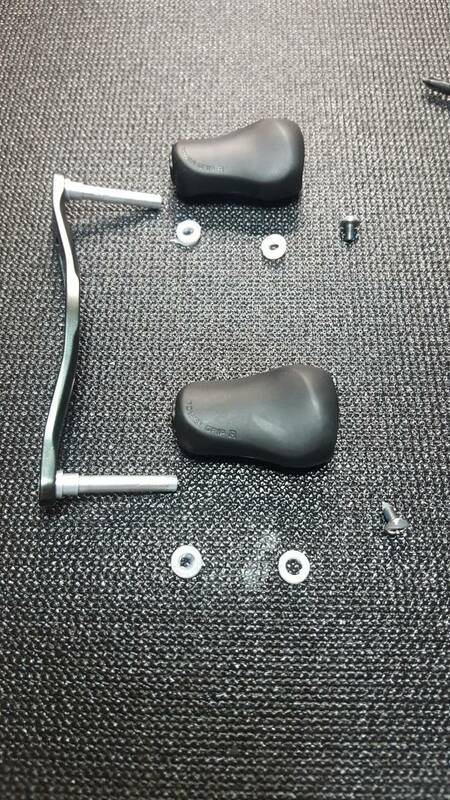 Lets start with the handle assembly. Sluggish, with 4 bushings and a ton of grease. These bushings got changed out for bearings, and it makes the world of difference in this reel. The drag star and drag clicking system. 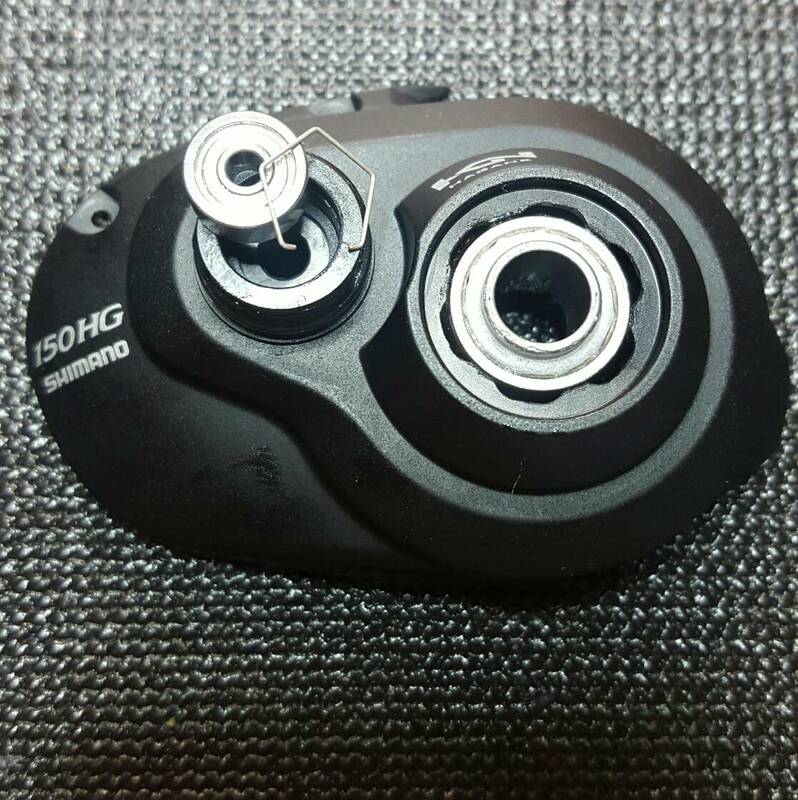 Simple Shimano design is present. 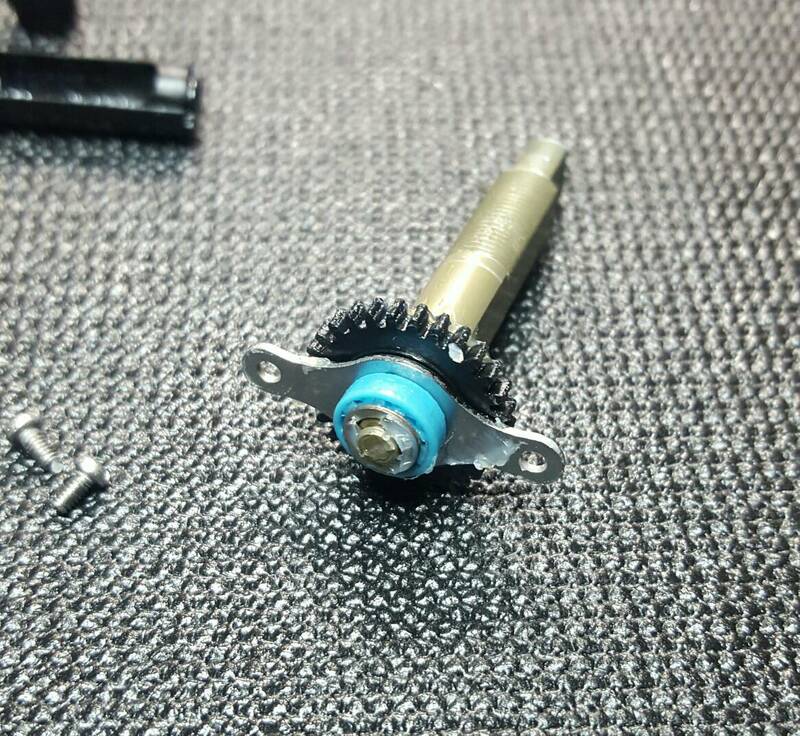 Opening up the crank plate, again, simple design, and a change to plastic on the clutch yoke guide. 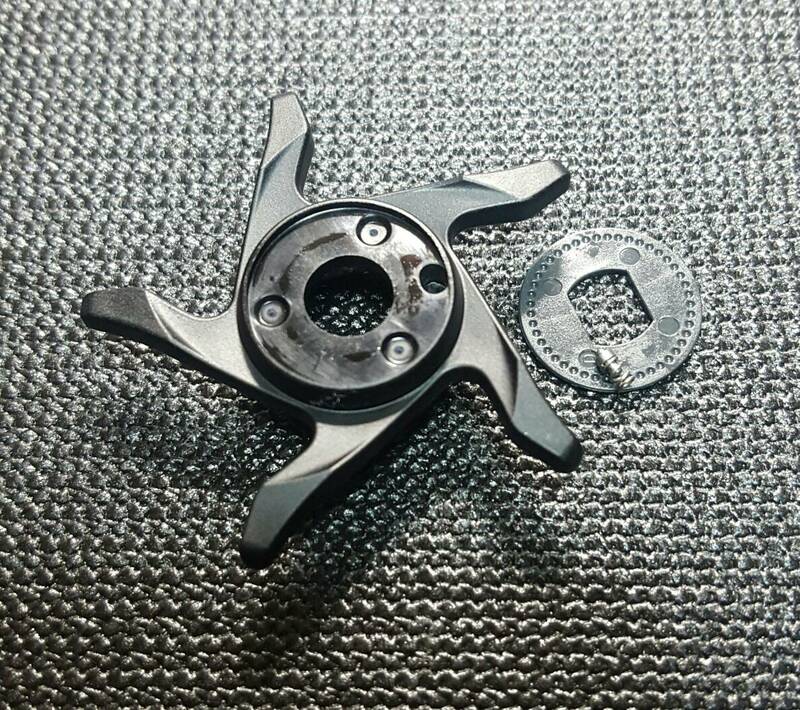 The crank plate. 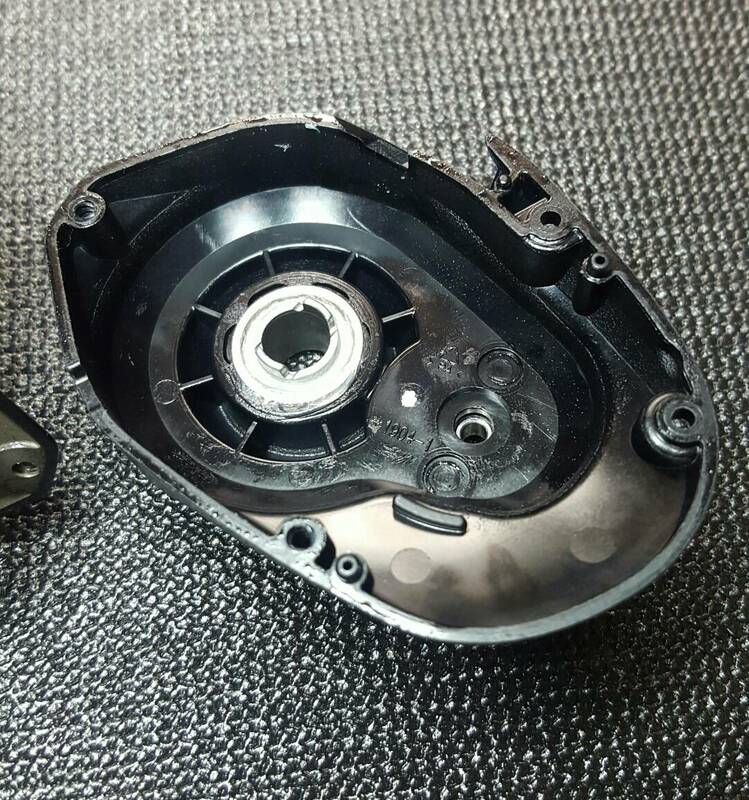 Plastic plate, and the regular spool bearing under the cap. The main gear and drag stack. 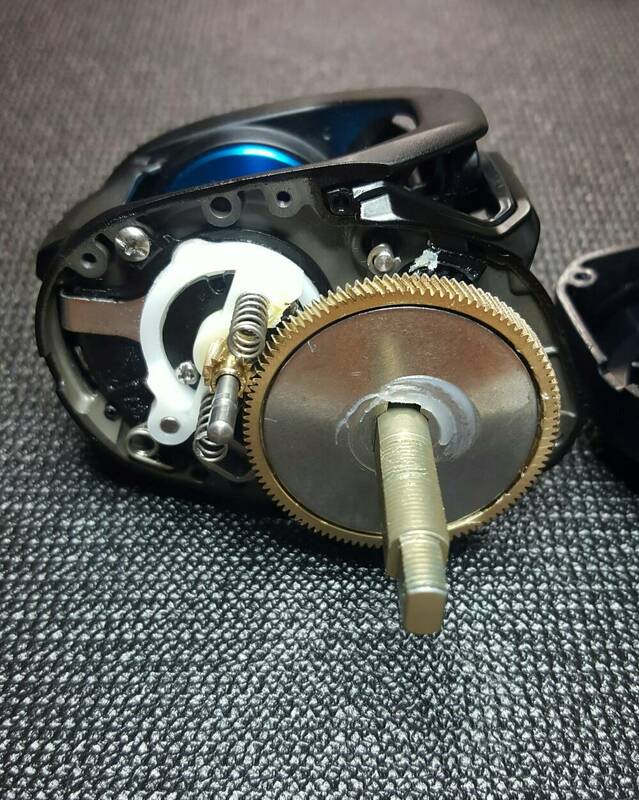 No carbon drag in this reel, but yet claims 11lbs of drag. So, thats kinda impressive. I just hope its smooth enough. Heres a better look to thw clutch system. The yoke guide is black, and plastic. Not a deal breaker as its not a moving part, and just guides the yoke up and down via the posts and springs. Now that white bushing on the levelwind is another one that is getting changed out for a bearing. The drive shaft and its bushing. Yet another part that is getting changed out for a bearing. So here it is, and the 6 bushings that have been changed out for bearings. Here is the part thag I am most impressed with, the size. I said it was tiny, and I wasnt kidding. The first picture is next to a 200E, the second next to the Tatula CT variation, and the third next to the famous 50E platform. 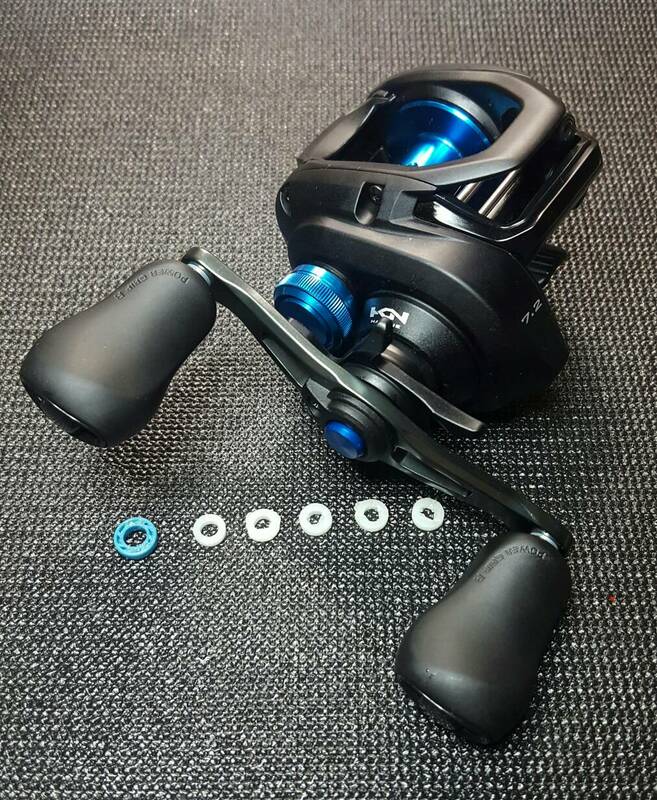 After the swapping of bushings for bearings, the reel isnt as smooth as the Daiwa Fuego CT was after I modded it. 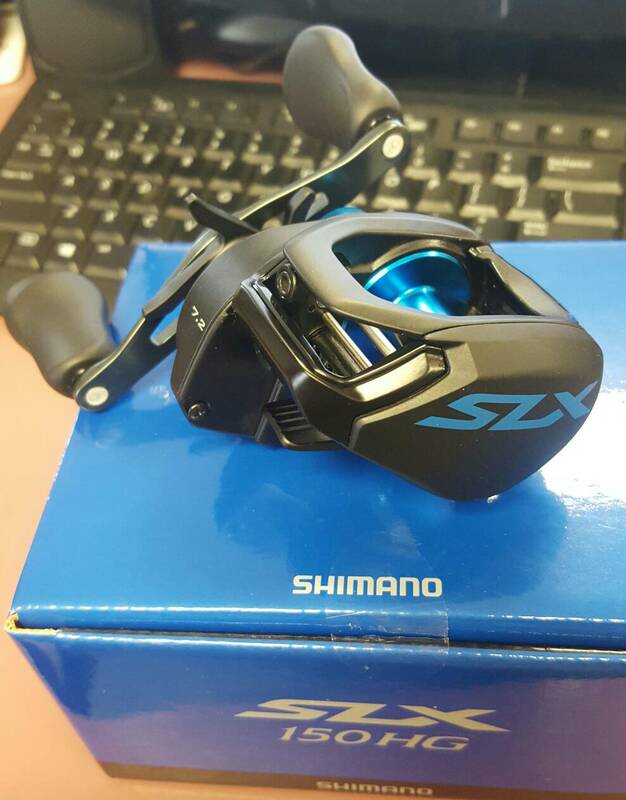 The SLX is nice, and its smoother, but just doesnt feel as refined as its Daiwa competitor. Where the SLX gets the Fuego is in the ergonomics. I like the size and feel in hand better. Seeing it next to the 50E, shows you just how small it is. Another plus for me in the SLX is the braking. Its just like the VBS brakes of the past, but with a modern twist. 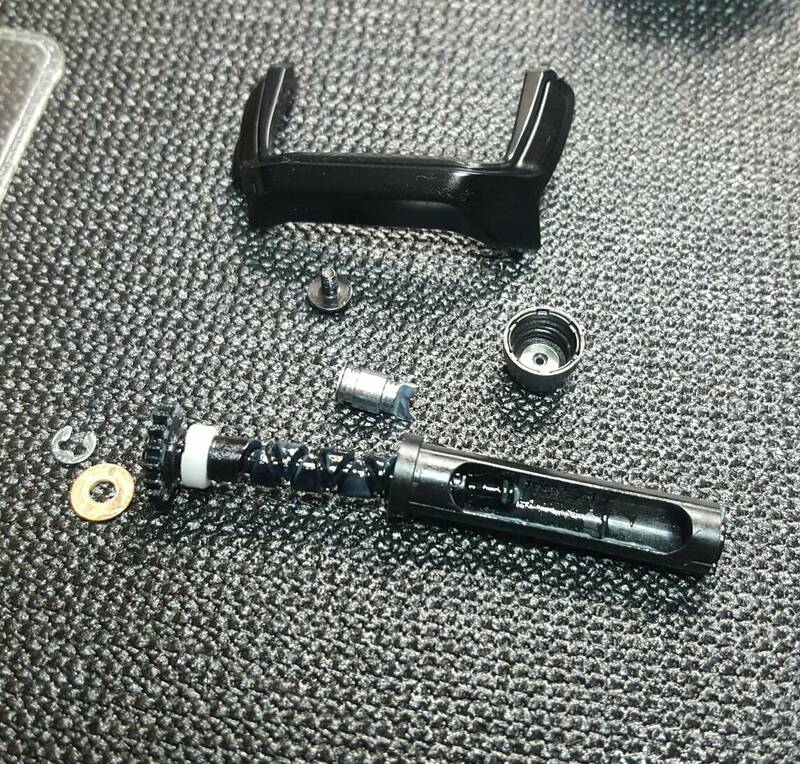 Taking the brake blocks like the SVS Infinity, but without the moving brake pipe in the palm plate. Not saying its better than the Magforce Z of the Fuego, but its nice to have some old skool back. The first picture made the reel look like it was an olive drab color. The later pictures reveal that it is indeed flat black. Not all that bad looking as compared to the original picture. So what's the final cost to have it modded?